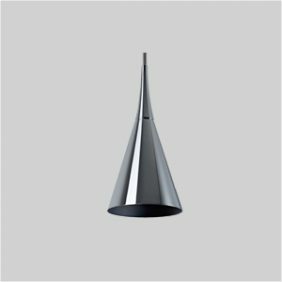 Kone interior pendant. An elegant and effective pendant providing a defined beam of warm light. 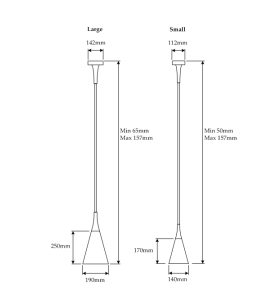 This Italian made fitting can be supplied in a choice of two diameters and with a choice of lamps to suit the required light output. 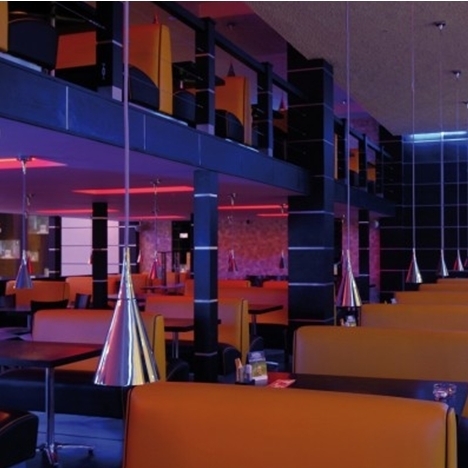 The Kone can be suspended at a height of your choice and is made completely from polished chrome. Suitable for various pendant applications and is ideal over kitchen surfaces and dining areas.